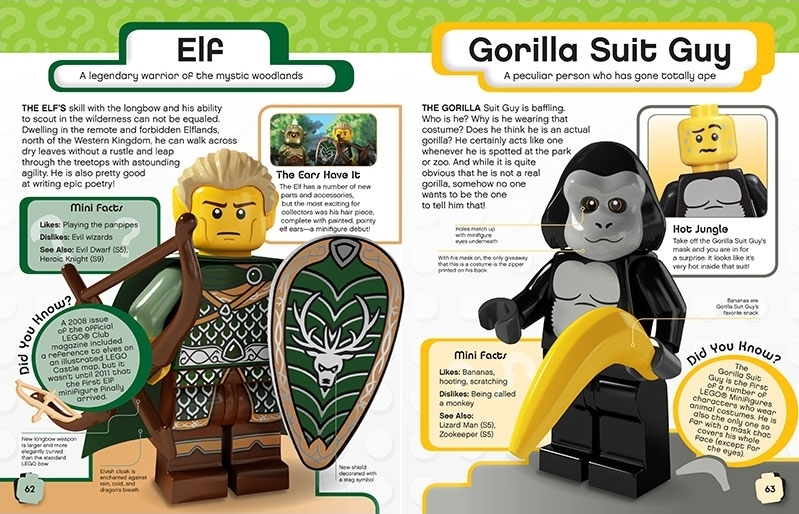 We received out copy of the new LEGO Minifigures Character Encyclopedia today in the mail from Amazon. The book was just released by DK who makes all of the other official LEGO books. Its a medium sized hardcover with a retail price of $18.99 USD. I personally ordered my copy through Amazon Prime and it was only $12.45 which was a pretty good deal. The book has a nice thick hard cover and includes the 162nd Collectable Minifigure built right into it. The Toy Soldier can only be acquired through this book which isn't a big deal for me. I generally like collecting these books and they are nice to check out once in a while. The inner pages have a lot of fun info. They list things like "Mini Facts" and "Did You Know?" in little bubbles. The thing I like most about the book are the great, colorful pictures, they really pop out at you and you can see all of the great details of the minifigs. 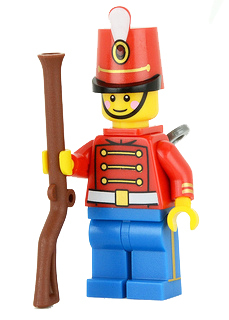 All in all, its a must have if you love LEGO and these great Collectable Minifigures. You can follow this link for a great deal from Amazon, at $12.45 USD, you cant lose.